Everyone knows not to put chorizo in traditional dish, right? 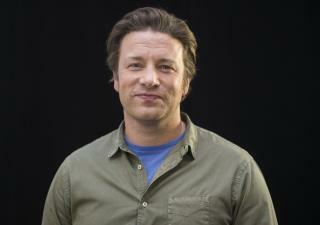 (Newser) – Jamie Oliver has managed to "offend a whole nation," Stuff.co.nz reports—and he did it with pork sausage. The celebrity chef posted on Twitter what the Telegraph calls an "unorthodox" recipe for paella—a hodgepodge of rice, meats, veggies, and spices—incurring the wrath of Spanish culinary experts across the Internet. "Good Spanish food doesn't get much better than paella. My version combines chicken thighs & chorizo," Oliver cheerfully tweeted Tuesday. The Naked Chef's crime: including the chorizo, which is apparently frowned upon by many who don't consider the sausage-leaning version an authentic Spanish dish. Reaction was spicier than the meat he threw into his inadvertently insulting concoction. Paella is good, but it smells far more heavenly as it's cooking than it tastes. 45 years ago I lived near Barcelona. In Barcelona there was a fantastic restaurant, Casa Costa, which served paella. You would sit a long tables with other diners, and they would bring huge plates of paella for everyone. Guess what? It had sausage in it. As well as chicken, fish, seafood like clams or mussels, shrimp. Sort of whatever was fresh in the fish market that day. I learned there isn't ONE recipe for paella! Valencia has a regional version without sausage, okay. But, to say it never has sausage? I think the chefs at Casa Costa knew what they were doing 45 years ago! sooooooo making a dish MORE edible is now an "abomination"...?? says the country that harpoons Bulls for their own amusement..